Mission accomplished! You will not be able to camouflage your love for each other when you use this brown camo garter at your wedding or special event. 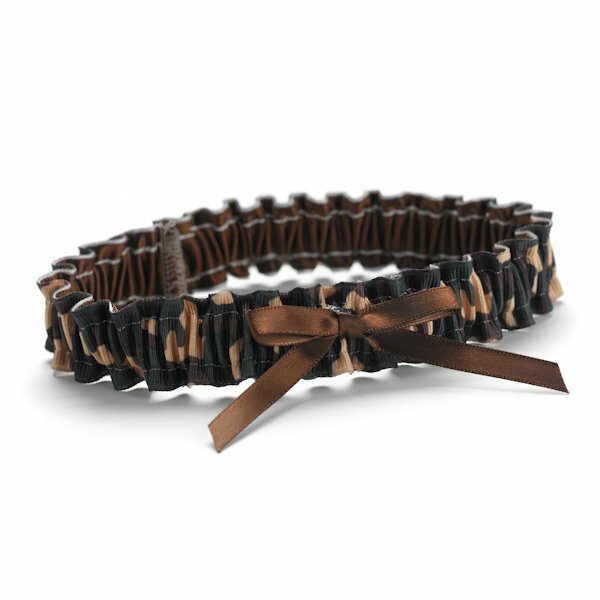 The simple brown satin bow is a subtle touch on a unique garter which allows you to show your outdoorsy side. 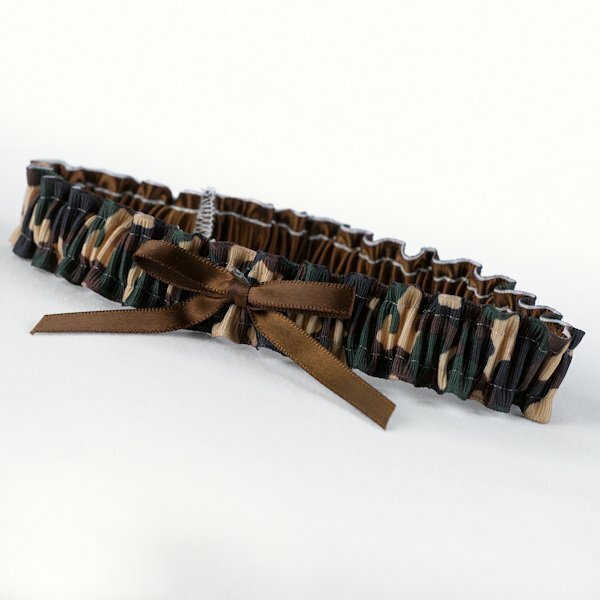 Whether considering the bride or the groom, this piece is great for people with an interest in the military, hunting and/or fishing. One size fits most.